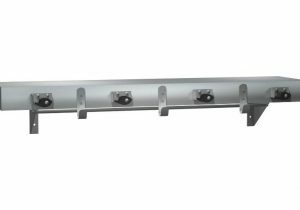 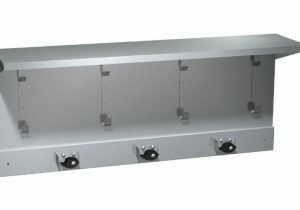 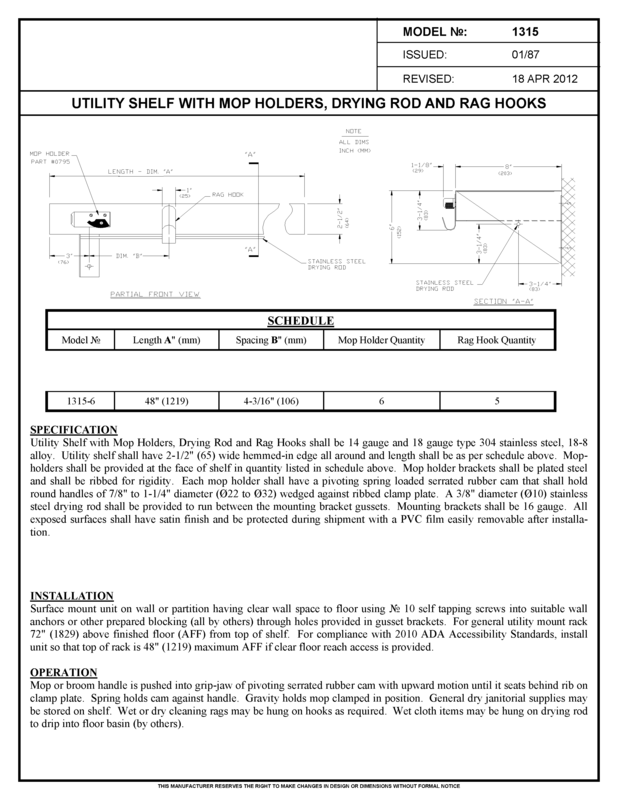 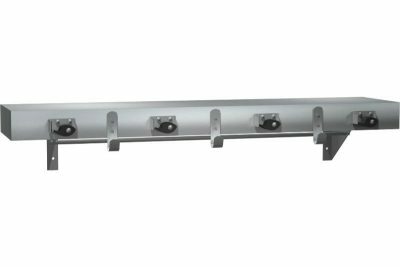 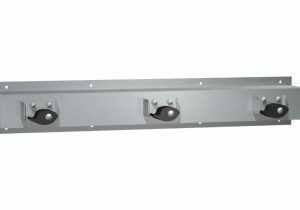 Heavy duty combination shelf, hook strip, mop holders and a drying rod is designed for use in commercial environments. Fabricated from type 304 18-8 stainless steel alloy. 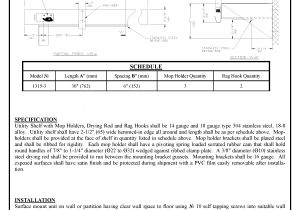 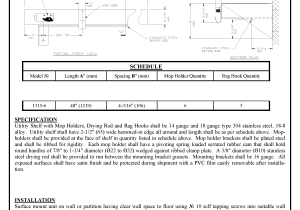 Heavy duty hooks are 11 gauge. Integrated mop holders with rubber ratchet stops. 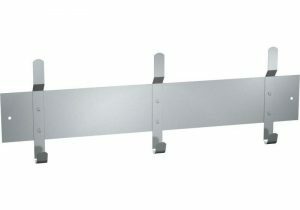 All exposed metal surfaces are No 4 satin finish.